Behaves to the group of white-brown-orange chalcedonies and cornelians onyx. 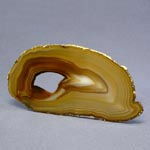 It is yet named orange or brown Agate or Onyx, but he necessarily must be with the direct parallel or concentric-parallel layers of remittent brown, white and blue colors, possibly with formation of interesting picture. Very good as beautiful central insertions in decorations and stay in a fashion. 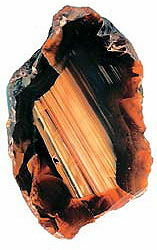 Large authority was enjoyed by Sardonyx as early as Egypt (northeast Africa, Mediterranean Sea): him much among knick-knackeries and decorations of tsarina Cleopatra (69-30th to sew on eras), including its favourite vessel with black antimony stibium for aiming of pls on eyelids was from a sardonyx. Cornelian, Sard and carnelian was extremely popular for slavs and today stay in a fashion. As a talisman Sardonyx does a people brave, fearless, enables to have a successful and happy marriage. It opens his secrets of any studies and religions before carrying, does the hidden information accessible, instrumental in the scientific comprehension of the world and his phenomena. 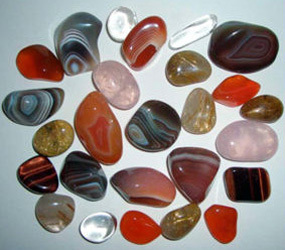 Sardonyx can become a wonderful helper and in a clairvoyance, when a people would like to glance in the future. 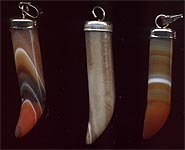 As a amulet talisman phylactery obeah Sardonyx gives defence in trips, and many famous travelers carried him at itself. Mystic properties him near to properties of cornelian. Sardonyx is a darling by tsars and tsarinas, banishes wicked perfumes, protects from love sorceries, infidelity and lie, grants a courage. 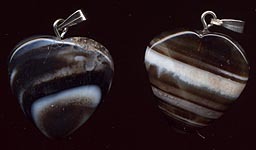 Sardonyx, as well as Agate, is related to voice magic.